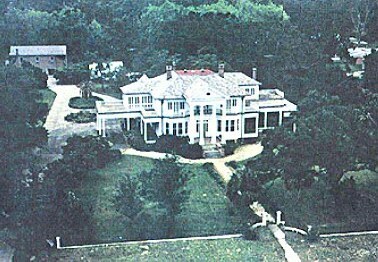 Following the extensive devastation caused by Hurricane Camille to Pass Christian beachfront properties in 1969, concern arose within the citizenry for further loss by demolition to existing historic structures. There was no preservation commission or protective ordinance in place, therefore three resilient residents, Pat Mowry, Betty Rogers, and Otis Trepagnier contacted then state senator, Nap Cassibry, to assist them with the necessary requirements for creating an Historic District. After diligent research, Nap Cassibry advised the group as to the procedure and necessary form-processing that was needed for submission to State and National Archival agencies. Former State Senator Nap Cassibry offered to meet with the group and city aldermen once they decided on their course of action. A meeting took place at Pat Mowry's home that was attended by former Alderman Charles Logan, Betty Rogers, and Otis Trepagnier, where Nap Cassibry informed them and instructed Logan on the required City Resolution that had to be adopted by the City Council in order to move the plan forward. This occurred in 1976 with the support of former Mayor Steve Saucier. Once the adopted resolution was presented to the Mississippi Department of State Archives and History, the group was notified that they would require a $5,000 cost outlay for the necessary architectural site surveys and the processing of nominating forms. Pat Lowry once more called for Nap's assistance by stating, "now that we have the City resolution and the State concurrence to proceed with a survey, the problem rests with the $5,000 survey fee." Nap went back into action and contacted Elbert Hilliard, Director of the Mississippi Department of Archives and History. Together, they appealed for State underwriting of the survey cost on a pro bono basis. With considered reservation, concurrence was eventually effected, resulting in a two-year survey that required: definition of the proposed Historic District, house to house detailed architectural descriptions, photos of each house, and home ownership verification. Finally, in 1979, the completed nomination forms were submitted to the National Register of Historic Places of the Department of the Interior. Due to the efforts of these few interested individuals, the Pass Christian Historic District has resulted in preserving the nature of the homes and their heritage, in addition to creating one of the single-most in-tact heritage districts in the United States. Otherwise, this beautiful beach front could have been lost to uncontrolled housing developments and further destructive renovation constructions, which could have destroyed the essence of Scenic Drive and the integrity of the other community residences that are a part of the defined Historic District. As a further result, all interested residents who owned or acquired property in the District, have been able to benefit by low-interest federal loans, providing that they adhered to the exacting compliance of State and National heritage rulings for the Historic District. One of the first Federal grants issued was secured by Robert Goff in 1980. In full compliance with the new restrictions, "The Fitzpatrick House," now the "Blue Rose," was fully rehabilitated and listed in the National Register of Historic Places. in addition to placing of homes on the National Register of Public Places. Pass Christian Ordinance #496 created an Historic Preservation Commission which provides the procedure to establish Historic Preservation Districts and to designate archaeological, historical, cultural, and architectural landmarks and landmark sites. The Commission serves as a “Review Body” to scrutinize proposed work in Historic Preservation Districts and on historic landmarks. The Commission provides the criteria for evaluating a proposed activity and standards and procedures to prevent demolition of buildings or structures by neglect. Preservation commissions are authorized under revised state statutes dating to the late 1970s and early 1980s’ in Section 39, Chapter 13. The Director of the Mississippi Department of Archives and History also serves as the State Historic Preservation Officer. The staffing is divided into various divisions, one of which is the Historic Preservation Division. Besides monitoring nominations to the National Register of Historic Places, it oversees the Mississippi Landmark Program. To qualify for registration in the National Register of Historic Places, is a procedure worth doing even if time consuming if the structure meets the guidelines. The Mississippi Department of Archives and History provides a Preliminary Questionnaire for anyone interested in submitting their property for nomination. A basic requirement for the structure candidacy is that it be a minimum of 50 years since its original construction. Exterior and interior photographs must be enclosed with the questionnaire response before the state will undergo a preliminary assessment. There are still other steps which may change from time to time, before a qualified nomination is ultimately registered. Once a structure is registered, it must comply with all regulations since a registration designation is one of the highest forms of recognition bestowed on properties by the state of Mississippi and offers the fullest protection against changes that might alter a property’s historic character. The Department has a program to oversee those Preservation Commissions which are “Certified.” Periodically, the Preservation Division may also make a resurvey of existing Historic Districts .